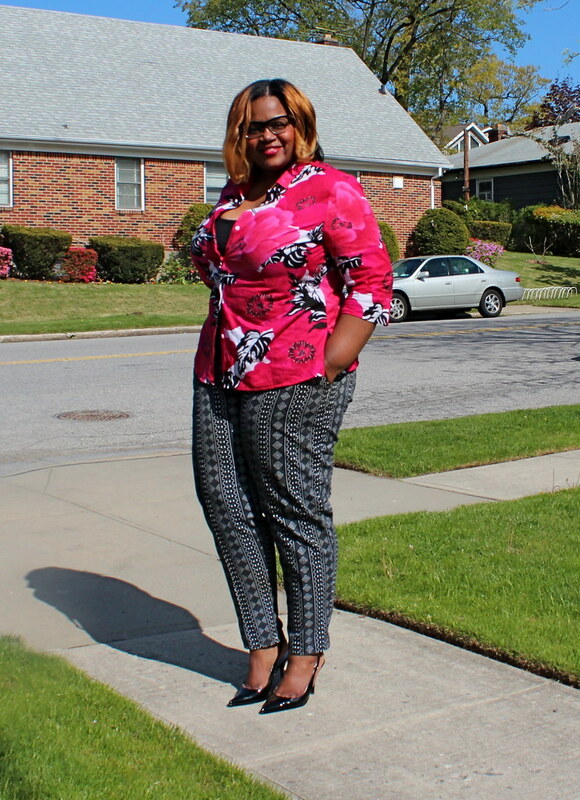 Outfit: Shirt, pant, and sling backs are all great thrift finds. Just discovered you on Gabbi Fresh. You are rocking those pants. Reading about the challenges of finding trendy great clothes for the fabulously fat reminds me of the difficulties the terrifically talls have now. Plus sizes are no substitues for the tall ones.